Looking for a positive outlet for your child? Feel like they would do well with some music in their lives? Perhaps giving them an ‘island of competence’ where they can develop their talent? 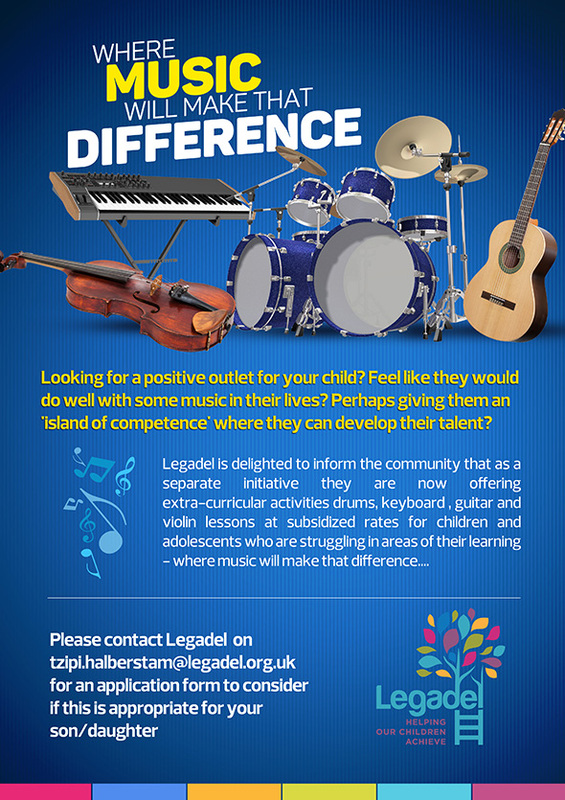 Please contact the Legadel office on 020 8209 0526 or email info@legadel.org.uk to request a music application pack to consider if this is appropriate for your son/daughter. At Legadel we work with a range of teachers, therapists and keyworkers who specialise in different areas.